It's bigger than all of us! 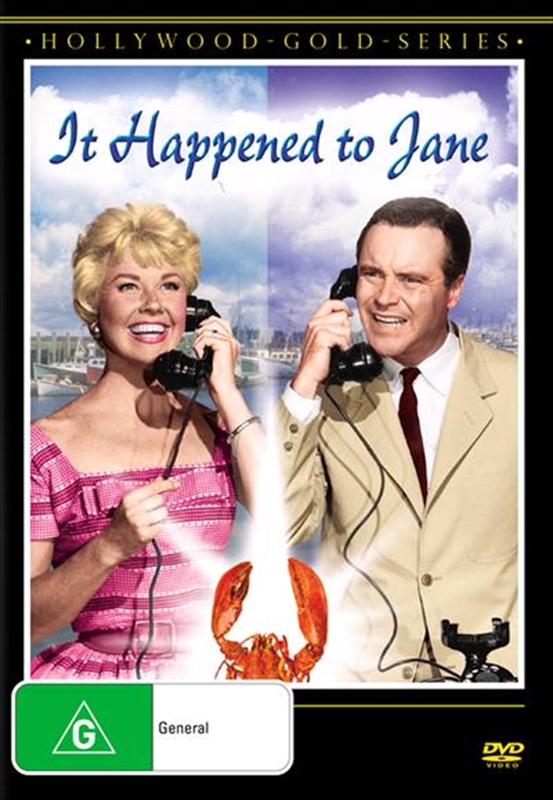 In this classic romantic comedy, Jane Osgood (Doris Day), a single mom with two children, is in the live lobster business. But when her first big order for the Marshall Town Country Club turns up dead through no fault of her own, it kills her chances for a successful season. Discovering budget cuts at the railroad are to blame, she turns to George Denham (Jack Lemmon), her longtime admirer and an attorney, to seek compensation from the railroad's tyrannical owner, Harry Foster Malone (Ernie Kovacs). Jane wins in her local courthouse, but Malone agrees to pay only for the lobsters, not damages. She refuses his offer on principle and the battle is on. The press has a field day with this modern-day David and Goliath story. And the whole country turns to Cape Anne, Maine, to watch as one woman stands up to "the meanest man in the world." It could happen to anyone but IT HAPPENED TO JANE.